Don’t you miss instruction manuals? Or even just paper? I know I do. And these photos make me miss them even more. Over on 2ch, Japan’s biggest online forum, a series of Famicom-era instruction manuals were recently posted. Like the Famicom instruction manual, for example. This dates from 1983. Xevious, a classic from Namco. 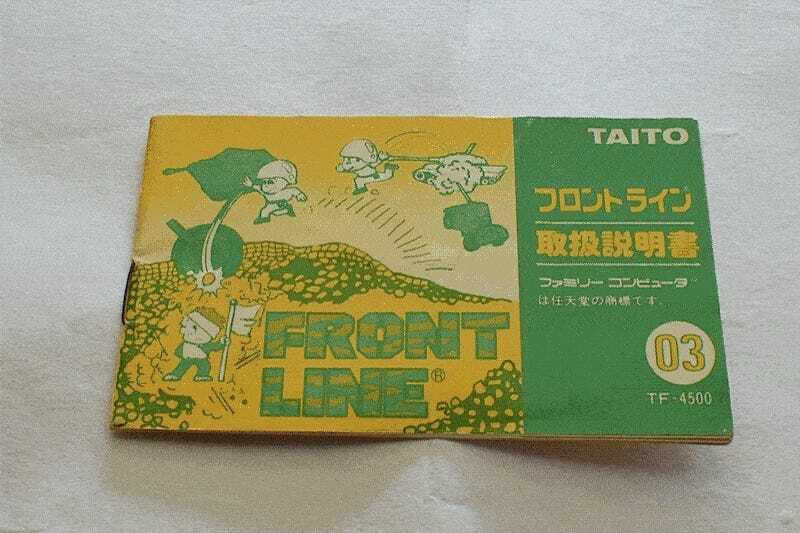 Taito’s run-and-gun shooter Front Line. Love the colors. The drawings are cute, too. This is The Portopia Serial Murder Case from Enix. Dragon Quest creator Yuji Horii designed this game. Very 1980s-style art, no? Yes. The manual points everything out. Literally. A flier regarding the network connection. People forget all the cutting edge things Nintendo has done. Shame on those people. The Disk System’s illustrated manga-style instruction manual. Here’s the story explanation. Love this 80s art style. This is known as Crackout in the West. SonSon, which Yoshiki Okamoto designed. In case you can read music. I cannot. Here’s Digital Devil Story: Megami Tensei. Strategy game Sangokushi: Chuugen no Hasha. The instruction manual for this Little Lord Fauntleroy game looked like a newspaper. The graphics might not look exactly like the drawings, but who cares? There are even more manuals in the 2ch thread. Have a look at when times were simpler and required lots of tree cutting.